Overlooking the waterfront is this beautiful tall structure of St. Nicholas. Set in pale gray stone, the church also features works of Benedetto Genarri, Carmelo Reggi and Vlaho Bukovac. The ascending steps add to the allure of the church. Tips & Warnings: Maintain peace at all times. Do not photograph without permission. Love this? Explore the entire list of places to visit in Cavtat before you plan your trip. Fancy a good night's sleep after a tiring day? Check out where to stay in Cavtat and book an accommodation of your choice. How popular is Church Of Saint Nicholas? 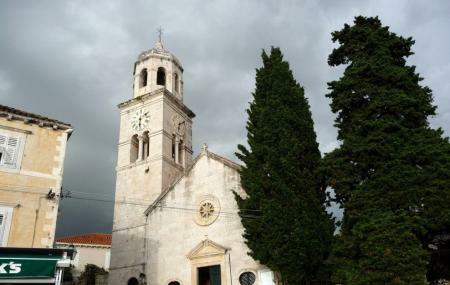 People normally club together Vlaho Bukovac House and Church Of Our Lady Of The Snow while planning their visit to Church Of Saint Nicholas.